SSL X-Desk: Art for All? Even though acronyms have changed a lot with the advent of the internet, SSL (simply think "Oxford, England"...) still remains a synonym for professional quality to any audio enthusiast – both for sound and technical aspects. After many years of having become one of the indispensable products in professional studios all over the world, the British manufacturer started to show interest in modular solutions with its X-Rack Series, allowing (almost) anybody to enjoy their legendary sound if they had the need and the budget. In 2008 they presented the Matrix, which confirmed the manufacturer's will to win new clients over with a new analog mixer concept. Equipped with 16 inline channels, 40 inputs with digital routing and DAW control, it combines the best of both the "out-of-the-box" and the "in-the-box" worlds. Now, SSL moves even further in that direction with the X-Desk. No more jam-packed mixers: 16 line input channels, no mic preamps nor EQ, but enough mixing and connection possibilities. At first sight, the mixer's extremely compact size (17.1" x 12.2" x 4.7") will surprise you, considering it's an SSL, even if the Matrix had already started with the trend... You can now have the Oxford sound directly in your home studio, even if it's more a home than a studio – like in this review! 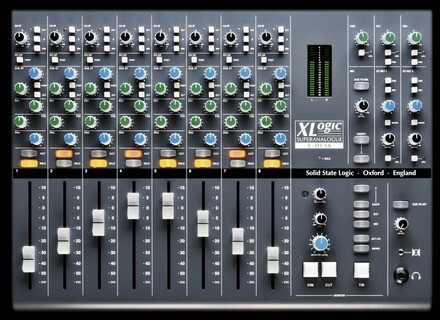 Nevertheless, just look at the mixer and you'll know it's a real SSL. First of all, you'll notice the typical sturdy manufacturing. Reliable production, clear silkscreen and a well thought-out design that makes the workflow easier. The mixer has the same 25-pin D-Sub connectors you'll find on most professional products. Moreover, all ten D-Sub sockets on the rear panel are recessed, ensuring an easy integration of the X-Desk in your production environment. No connector will be outwardly exposed, therefore reducing the space needed to set up the mixer. We all know that connectors can take up a lot of space and SSL dealt with that issue properly. The small mixer looks nice and it promises a lot of flexibility and ease of use. But what about the technology inside? 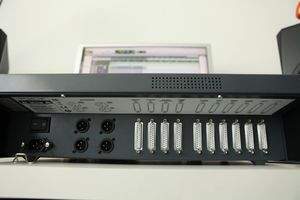 The X-Desk inputs and outputs are on 25-pin D-Sub connectors while the monitor outputs are on XLR plugs. For those of you asking yourselves what sort of connector we're talking about, each 25-pin D-Sub connector can manage eight balanced inputs or outputs (you'll also find it on devices like Digidesign's 192 I/O). Depending on the application, a snake cable can feature eight male/female XLR connectors, balanced 1/4" jacks... or even a 25-pin D-Sub connector to connect, for example, eight outputs of a Digidesign 192 to eight line inputs of the X-Desk. Thus, for the optimal setup you'll need ten 25-pin D-Sub connectors, which you'll have to buy separately, since the X-Desk comes with no cables! Take that into consideration and include it in your budget before you buy the desk, so you can enjoy every function. The price of good 25-pin D-Sub snake cables varies depending on the brand but consider somewhere around $100 for each, i.e. you'll have to spend about $1,000 in cables... If you make your own cables it can be much cheaper. Finally, to make the most of the X-Desk and to benefit from all routing options provided by the mixer, we recommend the use of a patchbay for all inputs/outputs, inserts and external processors. A digital patchbay, like on the Matrix, wouldn't have been too much to ask from SSL, would it? Each of the eight channels has only one fader but two inputs (LINE and ALT) that accept line level signals, like the output of a mic preamp, for example. In the preamp section you have an ALT switch to choose between the line or ALT input for each channel. 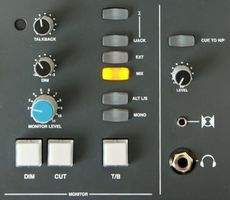 The X-Desk could be regarded as an inline mixer, considering it allows you to select the signal of your external mic preamp or your tape return (DAW or analog recorder, why not!) for each channel depending on the application. Each channel has an input gain knob that goes from -20 dB to +20 dB and a tri-color LED that lights on green, yellow or red depending on the post-gain signal level: -24 dBu, +4 dBu and +21 dBu respectively. After the preamp stage there's a phase reverse and a (post-gain) insert switch. The signal passes then through three aux sends: one "CUE ST" send (switchable pre or post fader) and two mono effect sends (FX1 and FX2). Finally, the signal is routed to the stereo mix bus after passing through the pan control, the cut and solo (AFL: After Fade Listen) switches and the fader. Each of the eight channels has a Channel Output to route the channel signal to your chosen recorder, either pre or post fader. This function is very interesting because it allows you to control the recording level with the fader like in the good old days. On the right side of the mixer, you'll find three master send controls for the stereo Cue bus and the FX1 and FX2 aux sends. You can also listen exclusively to the aux send signal (thanks to the AFL switch) and route the pre fader signal of all channels to the FX1 and FX2 sends. The mixer also provides controls for the stereo FX return. In fact, the X-Desk has two stereo effect returns with separate pan and level controls and AFL and mono switches (which, as the name implies, makes a mono sum out of the stereo signal). It's nice to have an insert circuit to connect external processors (compressor, EQ, etc.) in the Mix bus path. The mixer also has a talkback circuitry assigned to the stereo Cue bus. Moreover, you also have a headphone output on the top of the mixer to listen to the Mix or the stereo Cue signal. There are also standard master volume and cut controls, as well as a dim control (which allows you to reduce the monitoring level according to a given value). Up to now it seems like a pretty standard, compact mixer with eight analog channels and separate direct outs for recording applications. Did SSL rest on its laurels? 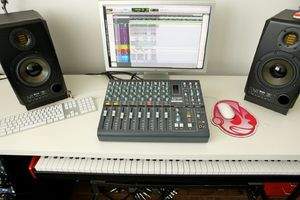 This is where the X-Desk unveils its singularity making manifest that it's much more than a simple eight-channel mixer. Here's why: the ALT switch of each stereo Cue send of each of the eight "main" channels allows you to route the ALT input of the channel to the stereo Cue bus of the X-Desk. Which means that the X-Desk can be simultaneously fed with eight line mono signals (through the line inputs) and eight additional mono sources (through the ALT inputs). To adjust the level of the line sources in the main Mix bus use the respective channel faders and to adjust the level of the ALT sources in the stereo Cue bus use the CUE ST level control. Since each stereo Cue send has a dedicated pan knob you can also control the position of the eight additional sources in the stereo field... The Cue To Mix switch allows you to mix 16 channels by reassigning the Cue bus to sum together with the Mix bus. And that's not the only subtlety that acknowledges the mixer's well thought-out design. Apart from the insert available on the Mix bus, you'll also find a ∑ switch that allows you to mix the direct (dry) signal from the Mix bus with the (wet) signal from the insert return... Parallel compression fans rejoice! Surely the smartest amongst you already understood what this means: if you don't use an insert in the Mix bus, you can mix any signal feeding the insert returns with the Mix bus signal... We won't go so far as to say that the X-Desk is a 22-channel summing mixer, but the mixing possibilities are plentiful for such a compact mixer. SSL stayed faithful to its tradition providing channel inserts whose send is always active even if the insert switch is not engaged — like in the 4000 series. This means that you can use them as additional (pre-fader) sends, expanding its possibilities (for example if you want to trigger a compressor inserted in the bass guitar channel with the bass drum signal using the sidechain...). Another very useful function allows you to switch between three different stereo source signals in the monitoring section. The ability to mix these three sources simultaneously is even nicer. Really, what for? It appears SSL took into account all those musicians and singers who need to rehearse with a playback track and want to use their favorite mic/preamp combination without having to open their DAW... It might seem insignificant but it isn't in a musician's every day life! Last but not least, if 16 channels aren't enough for you, SSL's X-Link technology allows you to link up to eight X-Desk mixers for a total of 64 line channels plus 64 ALT channels. In other words, you can mix up to 128 channels simultaneously. This is made possible thanks to the X-Desk LINK input and output on the rear panel... The last mixer in the LINK chain becomes the master mixer and manages the monitor mix, FX returns and mix sections. The only remark I would make regarding this system is that SSL should offer X-Desk modules (eight line channels + eight ALT channels) without the monitor, master send/return and mix sections. This way the X-Desk would remain versatile while concentrating on real technological (and ecological) needs. On the other hand, if you're not too demanding and already own one or several SSL X-Rack summing modules (like the 623 and 624), you can also add them to the X-Desk's 16 channels using the X-Rack Expansion connector. Did you say flexibility? So, what can you actually do with the X-Desk? The learning time is very short and people who already know other SSL products will find the device pretty intuitive. You'll feel at home right away, everything is easily accessible and you can get your work done fast! When recording, I really liked the possibility to send the mic preamp signal to my DAW with the faders... 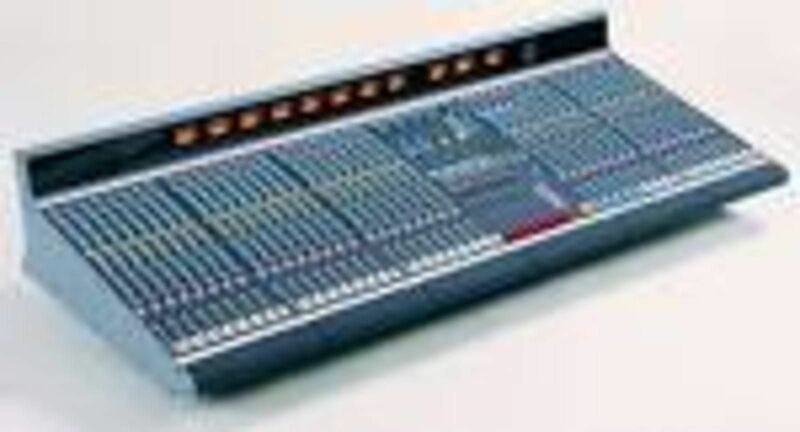 They feel very pleasant and have a precise response, even if, at first sight, they are slightly different from the faders you'll usually find in the brand's other mixers. Some, including myself, will surely wish it had eight mic preamps, even if we had to pay more... Still I believe SSL understood today's needs perfectly: a mixer with only line preamps and no EQs lets the sound engineer choose the mic preamps and external processors he wants to use, allowing a mix of different brands and sound characters... Thus you can enjoy an SSL signal while keeping the sound character of your favorite outboard gear. The insert function is really useful (I would even say essential! ): it allows you to process the recorded signal easily and directly, and the insert send can be used as an additional send (since it is always active regardless of the switch position). I insist on this matter because it's not always the case with other summing/compact mixers. We tested the desk at KID74 (home) studio, based around a ProTools HD3 system with a Digidesign 192 I/O interface. It's always hard to describe the sound of a mixer because the evaluation relates to signal quality and the mixer's sound character, but also to many other much more subjective and personal factors like ease of use, versatility and workflow. For me, the goal of this test was to offer a simple comparison between an "in-the-box" mix and a X-Desk mix. Splinn, a rock/metal band (www.myspace.com/splinn), was kind enough to let me use the files of their first EP for the test. I first made a premix in Pro Tools using one bus for bass drum, one bus for snare drum, one stereo bus for toms/overheads, one bus for bass guitar, one stereo bus for vocals/choir/FX, and three stereo busses for electric, acoustic and additional guitars. I then used the same session assigning the bus outputs to the line and ALT inputs of the X-Desk bringing the faders to nominal level. Since I had the possibility to do it, I did exactly the same with the NEVE 8816 summing mixer, maintaining the same technical conditions. Considering the summing amp market (with products by Chandler, API, Audient, SPL, AL.SO, Manley, TubeTech, Thermionic Culture, Dangerous, etc.) this comparative test is very limited. 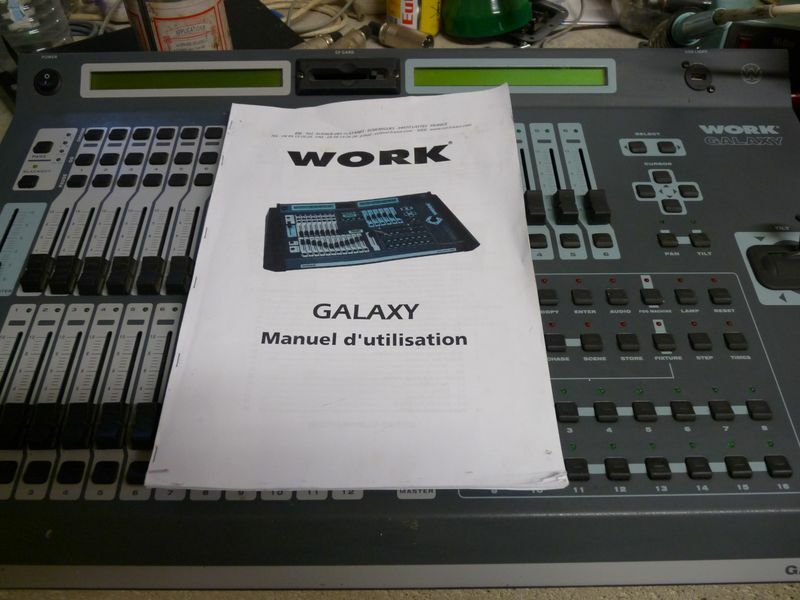 To do it right and get an (almost) objective idea of the X-Desk sound, a wide range of signals including recordings of different music styles and instruments with different dynamic ranges would be necessary. Nevertheless, I hope these sound samples give you an idea of the potentiality of the X-Desk. Thanks to Olivier (AaRON) for his kindness, invaluable help and pictures... you're the man! The phase reverse button in the preamp stage kept me wondering for a while, until I found a rather simple explanation... The X-Desk is obviously "optimized" to work with other SSL products, so after browsing through their catalog I found the Alpha VHD Pre, a four-channel mic preamp without phase reverse option!! So, if you buy two Alpha VHD Pres you'd have eight SSL mic preamps for your X-Desk... I told you, nothing slips past SSL! For mixing down you also get high-class versatility. The signal sounds clean but not cold; I'd say the X-Desk adds bite to the sound. The low end is very well defined and mid and high frequencies are present but not aggressive. The dynamic response is well controlled. You can feel the mixer adds something to the sound but you won't notice any sound coloration. It probably has to do with the huge headroom available, which is bigger than the mixer itself! For both recording and mixing applications, you can push levels and crank up the line preamps without any quality loss. By the way, the tri-color LEDs are excellent control tools: even if they turn red, you still have a bit of headroom before the signal starts to distort. The main level meters are certainly optimized for DAW systems, considering they provide a scale from -60 to 0 dB... FS! Another useful feature is that if you find the overall X-Desk level is too high (and therefore difficult to control), you can recalibrate the tri-color LEDs so that you have more headroom before distortion occurs. 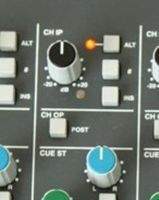 When you assign the ALT signal to the stereo Cue, the nominal level is reached when the Cue level control is set to the maximum and the master Cue level to "0". The stereo Cue bus has no line preamps, which means you can decrease the input level of the ALT sources but not increase it independently. However, you can increase the overall level of the stereo Cue bus with the master Cue level control. 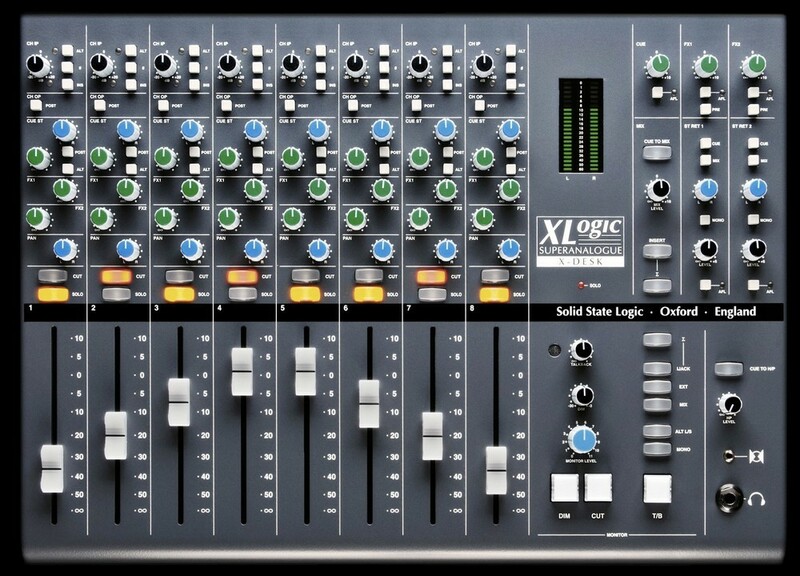 Finally, what impressed me most about the X-Desk is the fact that such a small mixer can provide you with 30 years of SSL know-how and philosophy. In other words, the versatile workflow, the signal integrity and the manufacturing quality make this mixer a powerful tool with huge reliability. For about $2,900, this compact mixer has everything you could ask from a big desk! SSL struck a decisive blow with the X-Desk by offering an expandable mixer that focuses on the real needs of today's professional music production. This compact device concentrates all the brand's know-how and philosophy to provide all the essentials for quality mixing. It surely doesn't have anything to envy its competitors – does it have any competitors, considering its price? SSL fans will enjoy the typical SSL sound energy. For all the rest who always wanted to work with SSL products, the X-Desk is the best opportunity to realize their dream at an affordable price.